At an annual meeting of the National Music Publishers Association, NMPA CEO David Israelite reportedly played a 1980 video clip depicting Lennon saying his wife deserved a writing credit because of her influence and inspiration. The organization agreed and announced that Ono would be getting a writing credit on the song nearly 40 years after its release. 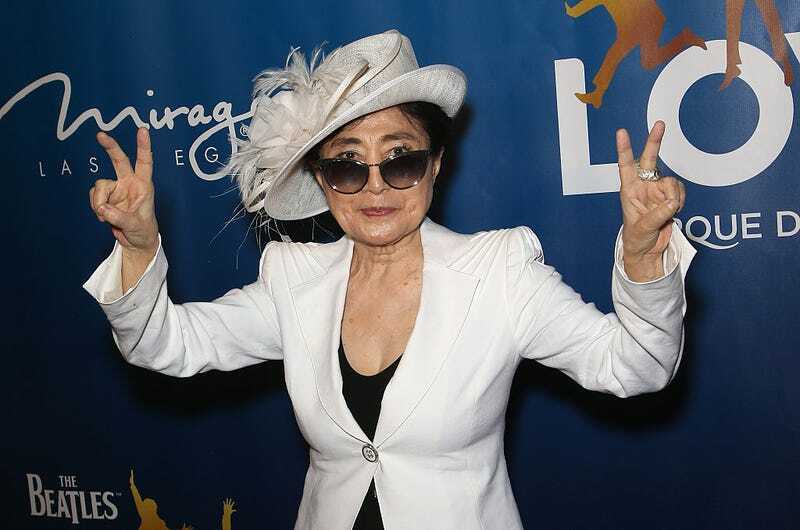 Ono and her son Sean Lennon were in attendance to see the organization give “Imagine” the Centennial Song award. Wow... cool John... real cool. The credit, for now, is only honorary, as the process will take some time and legal maneuvering. But according to Variety Israelite said he hopes that NMPA and Downtown Music Publishing, who control Lennon’s solo compositions, hope it will be confirmed.